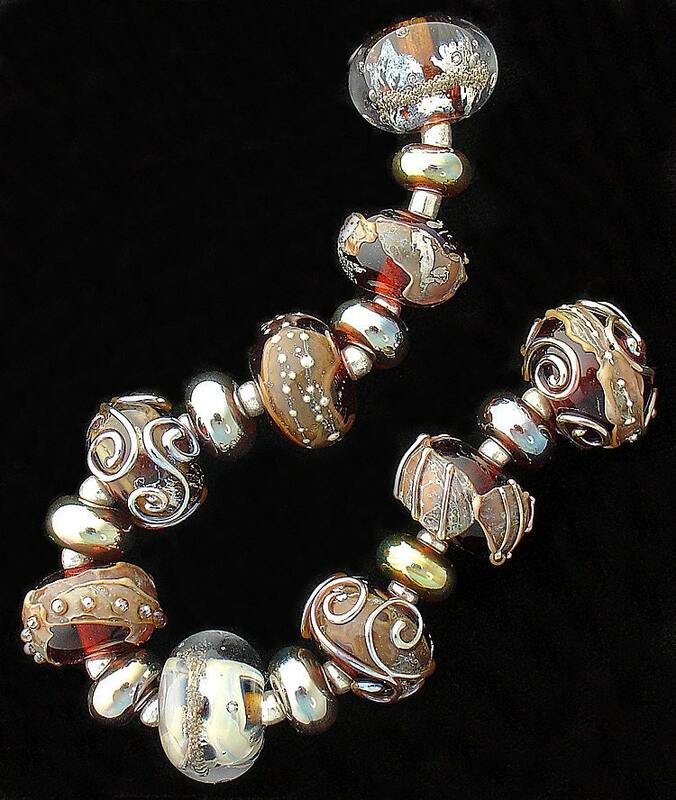 "Dark Chocolate" A beautiful OrGaNiC set of 9 glass beads made in dark topaz. Spacers are included. 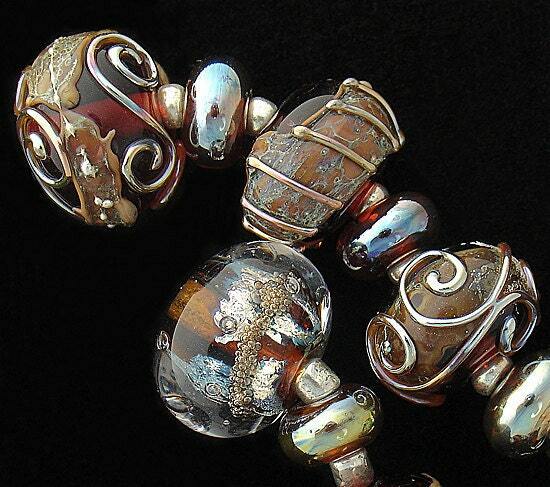 Accents include silver glass scroll work, pure silver wire and hand blown shards. Measurements are roughly .65'' (16 mm) in diameter for each larger bead. 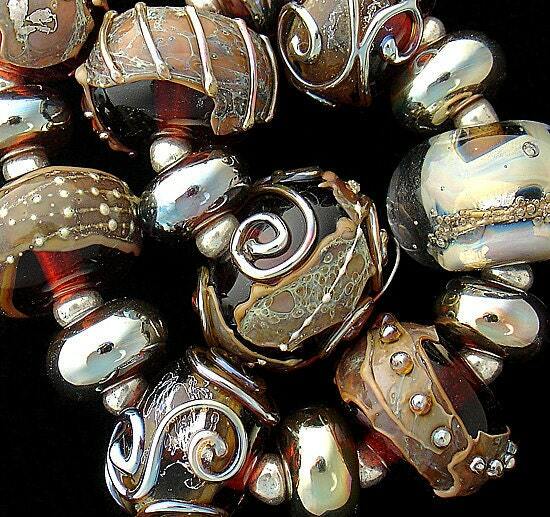 Please allow 2-4 weeks for me to create your beads. If I need to order any special items for your beads, then that may increase the 2 week time frame. Très belle réalisation, j'adore toutes les perles de cette artiste. 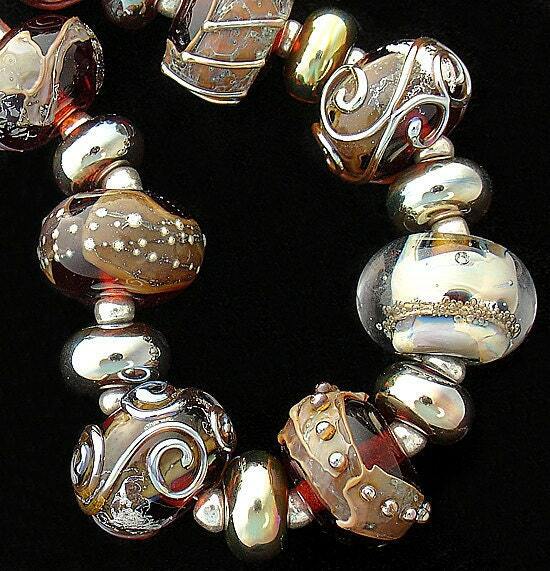 Stunning set of chocolate and gold beads. I can't say enough about how beautiful these are! I will come back for more. The beads are lovely addition to my collection. The beads arrived in perfect condition and are beautiful - I am very pleased and look forward to wear them!